THURSDAYS, FEBRUARY 6 - MARCH 13, 10:30 a.m.
Introduce children ages 3 to 6 to art through this program designed to encourage art appreciation and creative expression. 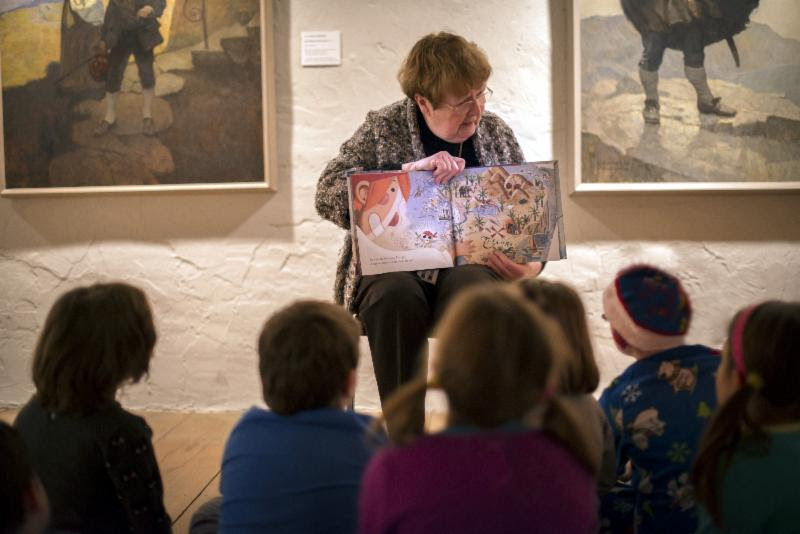 Children and their grown-ups hear engaging interpreters bring a story to life, interact with art on a tour of museum galleries and create their own imaginative works. Children may participate in one or all of these. The programs are free for members and children under age 6, and are included with museum admission ($12, adults; $8, seniors; $6, students, and children ages 6 to 12). Registration is requested. Please contact the Education Office at 610-388-8382 or education@brandywine.org. 9:30 a.m. to noon, through November 24. For more information, call 610-388-2700 or visit the museum's website at www.brandywinemuseum.org.